What online faxing is all about? Document and admin are a huge part of the business world, and even though we have largely moved to a digital way of doing things, there are still numerous aspects that perform as well as they do simply because they have retained the analogue method of doing things. Faxing is an example of this. Although many companies despise their fax machines – the long queues that build up around them, the inevitable paper jams and low ink warnings – these machines still form an integral part of the day to day procedures. 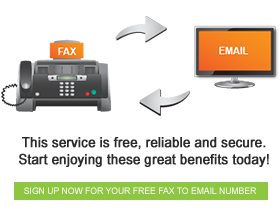 This is where FaxFX comes to the party, bringing you a wealth of superior faxing services to keep your business going. Although online faxing is largely the realm of large corporate businesses, there are a wealth of private individuals who find themselves relying heavily on the online fax services that we provide to get their daily chores completed. Of course there are also many companies rely on fax services to keep themselves going, and let’s be honest, receiving and sending faxes from your email account just makes life so much better. No more queues around that noisy machine, just pure online simplicity. With the worlds dwindling resources it also makes sense to streamline things, saving your company money, energy and time, all while helping to make the world a better place just seems right, no matter how you look at it.